TORONTO -- A Toronto lawyer representing a disenfranchised member of Ontario's Progressive Conservatives says he's taken legal action in an effort to extend the party's leadership race by a week. Jeffrey Radnoff said the Superior Court of Justice was scheduled to hear his application for an injunction on Friday morning, just hours before voting in the contentious race was scheduled to end. 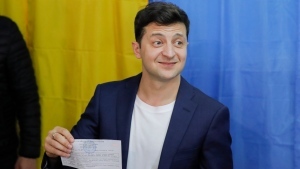 The party ruled against prolonging the race late Wednesday, saying that would contravene its constitution, and instead decided to push back the registration deadline to Thursday night and let members vote until noon Friday. But Radnoff said in an email late Thursday that his client, listed on the notice of application as Christopher Arsenault, had not received a personal identification number allowing him to vote. "Clearly, a significant number of members of the party, including the applicant, have been deprived of their right to vote as guaranteed in the party's constitution," Radnoff wrote in an email. The chair of the leadership organizing committee, Hartley Lefton, wrote in an email Thursday that the party's election is in accordance with the PC constitution. He noted that the voting period had already been extended once, and the verification period had its deadline pushed back three times. "It is unfortunate to learn that certain individuals may be considering this step, after we have worked so closely with leadership campaigns and with party members from across the province on a leadership election process passed by the PC party executive in accordance with the constitution," Lefton wrote. News of the court action came hours after one of the candidates vying for the top spot alleged that party "elites" were handpicking those who would be able to cast a ballot in the leadership election. Former Toronto city councillor Doug Ford said key documents required to participate were sent by email to specific members while ignoring others -- including his own mother -- awaiting the same information. Ford and the other candidates -- former Progressive Conservative legislator Christine Elliott, Toronto lawyer and businesswoman Caroline Mulroney and parental rights activist Tanya Granic Allen -- have all raised the alarm in recent days over the voting process. "The political elites, they distribute PIN numbers to a special group -- and I don't know who picks this group -- and then Mr. and Mrs. Smith ... they don't get to vote," Ford told The Canadian Press. "Something is wrong. I'll let you come to your own conclusion," he said. "This is not a transparent election." 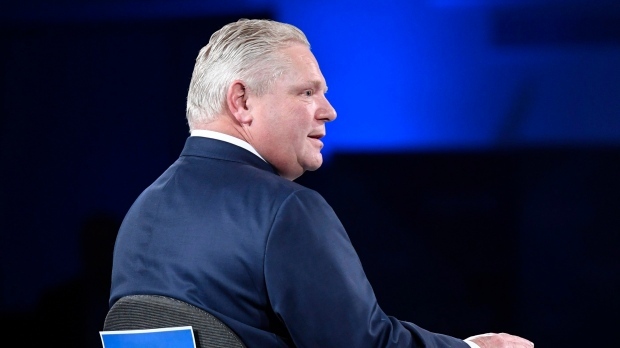 Party executives did not immediately respond to a request for comment on Ford's allegations Thursday, but have previously said they were aware of concerns over delays in getting members the documents they need to vote. Ford said he believes the legitimacy of the race has been compromised, but he was noncommittal when asked if he would dispute the results. Mulroney said she believes the election will produce a fair result, but she vowed to look into the PIN distribution issues if she wins. Granic Allen said she would continue to call for the voting deadline to be postponed. The rules of the leadership race include provisions for filing complaints and appealing decisions, but those wishing to contest the results could also turn to the courts. "You would have to show that it affected the vote enough to have changed the result," said Duff Conacher, co-founder of Democracy Watch. It's incredibly rare for the courts to overturn the results of an election, however, and it would be more effective to seek an injunction before the votes are tallied, he said. "If you have real proof that things are not working the way that all the rules say they should be -- or worse, actually rigged in some way -- then it's much better to go before a judge now, rather then put the judge in a position of overturning what thousands of people said they want," said Conacher, a political science professor at the University of Ottawa. Asked about the prospect of a court challenge, Tory legislator Todd Smith said he hoped it wouldn't come to that. "I think what I would like to see on Saturday is, no matter who wins, is that the other campaigns unite behind our leader and we start to focus on Kathleen Wynne and the Liberals," said Smith. "It's been five or six weeks now where we've been pointing the guns inwards -- I think right now it's important that we focus on defeating the Liberals on June 7." The party said nearly 77,000 members had registered to vote and more than 44,000 had cast a ballot as of Wednesday evening.